Laser cutting is a thermal cutting process where the cut is made using an amplified light beam – laser. A high-power laser is specifically directed to cut metals for accurate results. Laser cutting can be used for any metalwork, including industrial applications. Laser cutting is more precise and less energy-consuming than plasma cutting, but has an upper threshold of thickness of the material being cut. Here is a tutorial for getting a laser cutting quote online. The accuracy tolerance for positioning is +/- 0.1 mm. Thermal effect on the material is small, therefore it is possible to cut small holes with a minimum diameter of 1/2 the material thickness. As well as holes that can be threaded after cutting with no additional machining required. The cutting line width it is smaller than 0.5 mm for most materials. 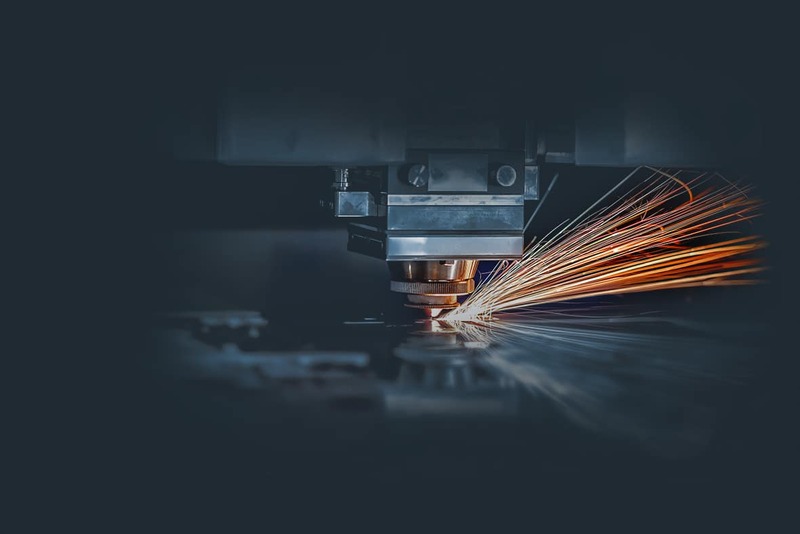 Fractory’s manufacturing network offers fiber and CO2 lasers that can cut a number of materials, including carbon steel, stainless steel, aluminum, non-ferrous materials like brass, copper, titanium as well as high-strength steels (Raex, Weldox, Hardox, Domex). For metal plates thicker than 30 mm, see more about our plasma cutting capabilities.